Thugs of Hindostan movie images, pictures, and wallpapers - Get all the looks, pictures, and images of Amitabh, Aamir Khan, Katrina Kaif from Thugs of Hindostan Movie. The trailer of this film has already released and received a great response, within two days about 20 million views received on YouTube. It is a great film, full of action-adventure, the film is written and directed by Vijay Krishna Acharya. The film is produced by Aditya Chopra under his banner Yash Raj Films. Amitabh Bachchan, Aamir Khan, Katrina Kaif, Fatima Sana Shaikh and Lloyd Owen are playing the main lead role. The film is based on Philip Meadows Taylor's 1839 novel Confessions of a Thug. Thugs of Hindostan is set to be released during the week of the Diwali festival, on 8 November 2018. Here you can find the latest images, looks, photo, and pictures of Thugs of Hindostan Movie. 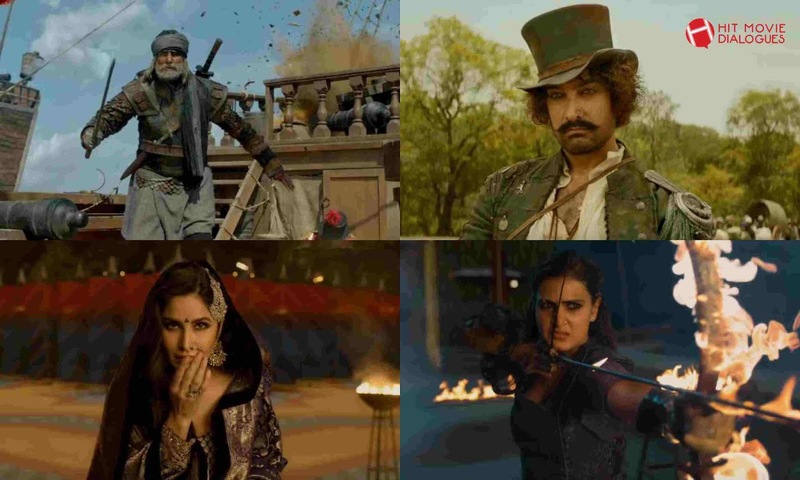 We separately share Amitabh Bachchan Looks, Aamir Khan Looks, Katrina Kaif Looks and Fatima Sana Shaikh looks from Thugs of Hindostan Movie. Amitabh Bachchan is playing the role of commander of the thugs named, Khudabaksh Azaad. His role is very different, his looks are also different. He is doing so much action and fights against the East India Company). Overall he is doing a great job, in his lifespan, first time working with Aamir Khan. Here you can get some beautiful looks, images of Amitabh from Thugs of Hindostan. Aamir Khan, He is also playing the role of Thug, role name is Firangi Mallah, His character is so funny, his accent is amazing. His character looks like Jack Sparrow which played by Johnny Depp, we can say Desi Jack Sparrow of India. He is also doing a great job in this film. Here we share some amazing looks, images of Aamir Khan from Thugs of Hindostan. Katrina Kaif, She is portraying the character of danced named Suraiyya. She is looking so pretty, her expression is really stunning. Here you can find some beautiful looks, images, and pictures of Katrina Kaif from Thugs of Hindostan. Fatima Sana Shaikh, She is playing an important role, Zafira -a warrior/archer thug, in this film she is always live with Amitabh Bachchan, her role is so strong and impressive, and doing so much action sequences. Her looks are also different from others. here you can also find the Fatima Sana Shaikh looks, images from Thugs of Hindostan. The soundtrack of Thugs of Hindostan is composed by Ajay-Atul while lyrics are written by Amitabh Bhattacharya. The film is very expensive, the budget for this film is ₹210 crore (US$29 million). The film is set to be released on Diwali festival, on date 8 November 2018.